HERE'S A GOOD-LOOKING BOOK that's of interest to any kit enthusiast, and particularly if you have a pile of unbuilts keeping a corner of the house warm. SMN report: It's a certainty that if you have a number of kits dating back to the 1950s and 1960s, then you have a treasure chest of plastic gold, items which have an achievable value via any of the internet sales sites, or indeed a local hobby or swap meet. Of course, one of the main issues with a classic kit's potential value is that you can't actually build it the way that was intended by the manufacturer. You really need three - one to build, one to use for kit-bashing spares, and one to lay down like a fine wine. We're suckers for box-top art, so Collecting Vintage Plastic Model Airplane Kits has plenty in it that appeals. 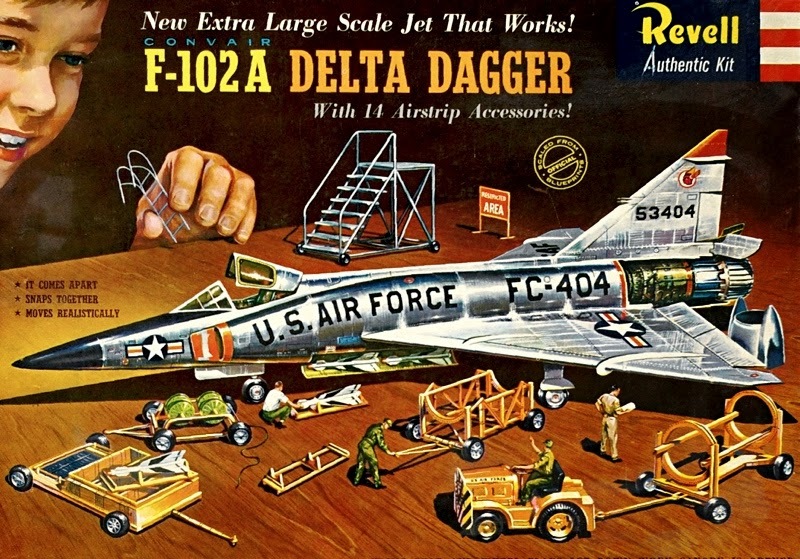 Old Revell kits are especially good examples of luscious artwork, as exemplified by the F-102A Delta Dagger (below). In fact of course, the model maker shown on this particular box would probably not have been able to produce a Delta Dagger looking anything like as good as the depiction on the box. But no matter, advanced skills would come with a few more years. Two more box-tops (below) are not as busy or as loaded with detail. Nevertheless, they are dramatic renderings that really give a feel for the real thing, a visually exciting sales pitch that was intended to translate into shifting more kits at model stores. There's an interesting article on Collecting Vintage Plastic Model Airplane Kits here. 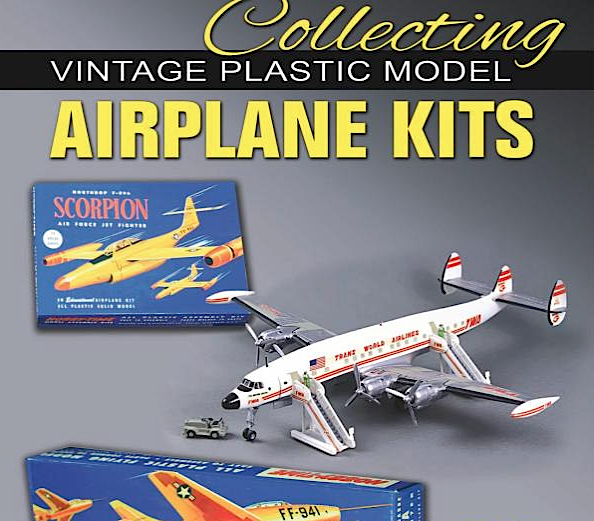 Collecting Vintage Plastic Model Airplane Kits is available from Amazon (below).